In order to better understand how everyday items can harbor potentially dangerous germs, Mrs. Hill’s food sciences class performed a bacteria lab after returning to school from Christmas break. We followed them throughout the process, and these are the results. 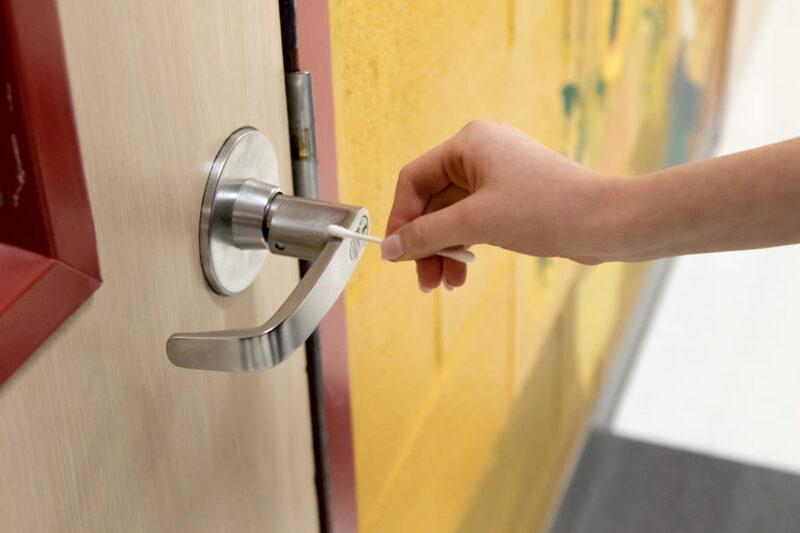 Hill sent students out with q-tip and gave them certain objects or places to swab, some of which included door handles, basketballs in the gym, the toilet handle in the boys’ bathroom, cell phones, and kitchen counter tops.